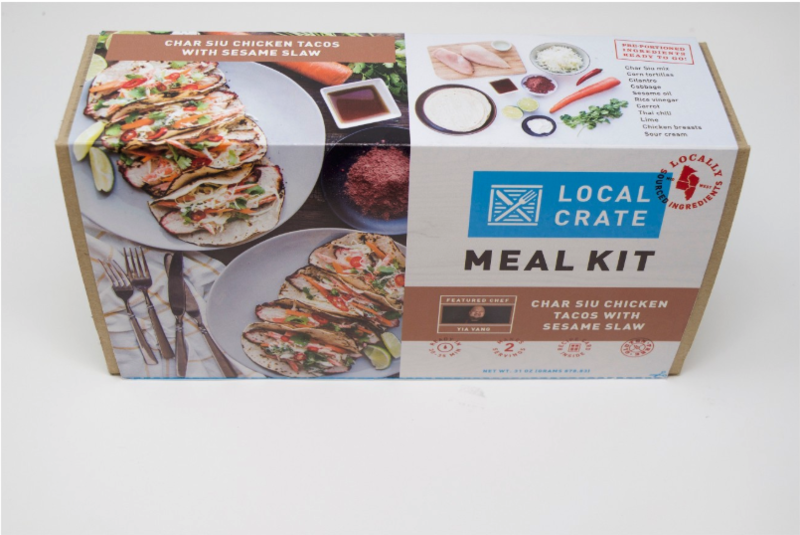 After a successful test in a handful of Target stores last fall and winter, Twin Cities-based Local Crate is rolling out its locally-sourced meal kits to more than 200 Target stores in Minnesota and California. The expansion comes as many big retailers are trying to incorporate home-delivery meal subscription services that have proliferated in recent years into meal kits they can sell in stores. The in-store versions typically have all of the ingredients and step-by-step cooking instructions to make a single meal (with two servings) instead of multiple meals as is often the case with the delivery services. Blue Apron, one of the most well known and biggest players in this space, has begun testing kits in select Costco stores on the West Coast. Walmart is rolling out its own to thousands of stores. Kroger has been adding more to its lineup and grocer Albertsons bought meal-kit company Plated last year. Minneapolis-based Target piloted several different meal kits from mid-October to March. It trialed Hello Fresh, Chef’d, and Local Crate at 10 Twin Cities stores. It also tested Chef’s Menu in select California stores and Tyson Tastemakers in Texas. “Based on the results, we have decided to continue testing with a smaller assortment in various Minnesota, Texas, and California locations,” Target spokeswoman Kate Decker said in an email. While some of the other meal kits are no longer being sold at Target, the Tyson ones are still available in select Texas stores. And Local Crate rolled out this week to 54 Target stores across Minnesota and 142 Target stores in California. The Local Crate kits will also be available for same-day delivery via Shipt in the Twin Cities. Local Crate is also expanding its home delivery program to California, where is now employs 8 people in San Mateo. It has also recently added delivery in Illinois with plans to do so soon also in Wisconsin and Iowa. Last month, Local Crate announced it completed a $1.4 million seed funding round. The startup — which launched in 2015 and has a production facility in St. Paul — was part of the Techstars' retail accelerator at Target headquarters last summer.